It’s been pretty bitter in the Twin Cities, but we’re having a little heatwave and are up to 12 degrees. Which would be great if we didn’t get about 7 inches of snow last night and even better if the high tomorrow wasn’t expected to be -5 with a low of -25 and worse on Wednesday. But that’s exactly the time you want soup! And even better a pretty much pantry soup (if your pantry is anything like mine) and not just any soup. You want this little White Chicken Chili Slow Cooker – Instant Pot – Stovetop number coz it’s going to warm you from the inside out! I know it’s summer, mid-July, but I just had to do Barbecue Chicken Chili in the Instant Pot with some of the Honey Barbecue Pulled Pork I made the other day. No Instant Pot? No worries. The stovetop instructions for Barbecue Chicken Chili are here, too. Merry Christmas, everyone! Here it is, Christmas Eve Day, and I thought I’d show you one of my favorite Christmas Eve dinners, this time done in the Instant Pot. It’s Chili. 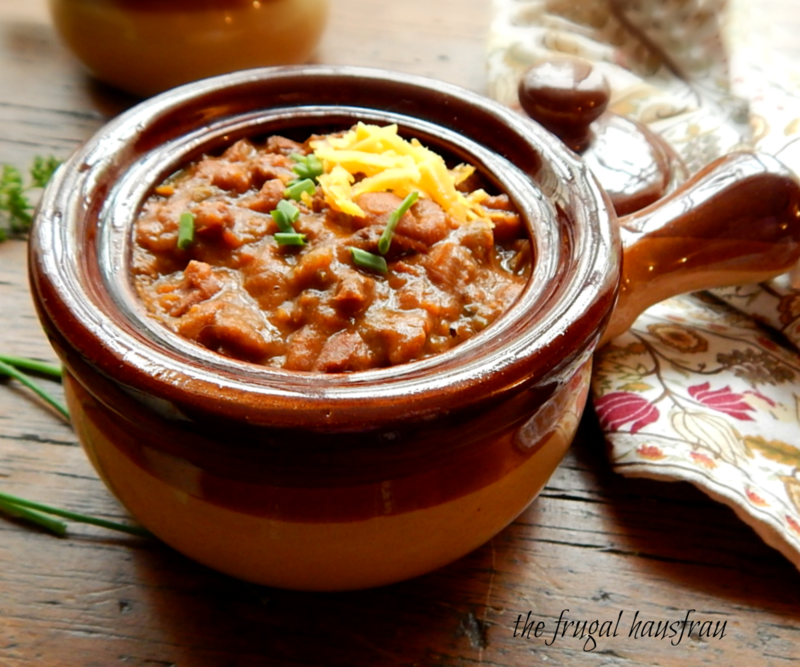 The Best Instant Pot Chili, to be exact. 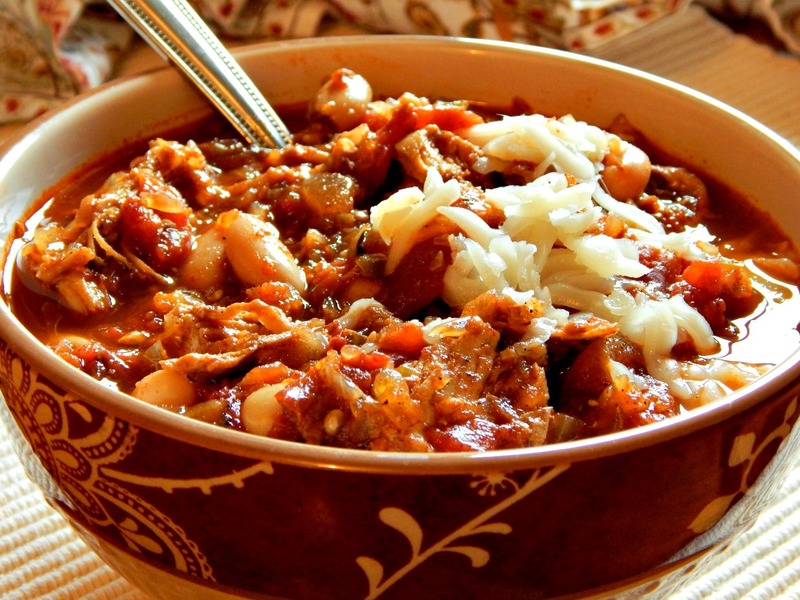 I know, it’s strange to some people to have Chili as a Christmas Eve dinner. I have other White Chicken Chili recipes here, so I’m not real sure how I got inspired to make this one…a hint of fall coming, maybe? Yep. I said it. Fall. I’m glad I made this Chili, though, because Easy White Chicken Chili’s seriously delish. Those of you who know me know I’m kind of a sucker for Mexican food. Or Southwestern. Or Tex-Mex. 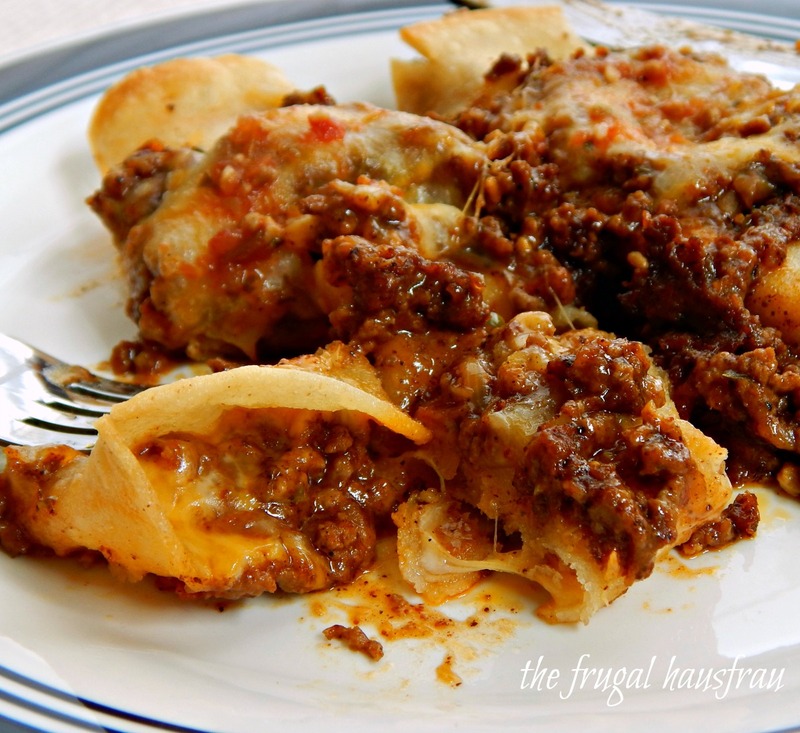 When I saw these old school Tex-Mex type enchiladas pop up in an email from the New York Times, I was all over it. Enchiladas con Carne from El Real Tex-Mex in Houston. 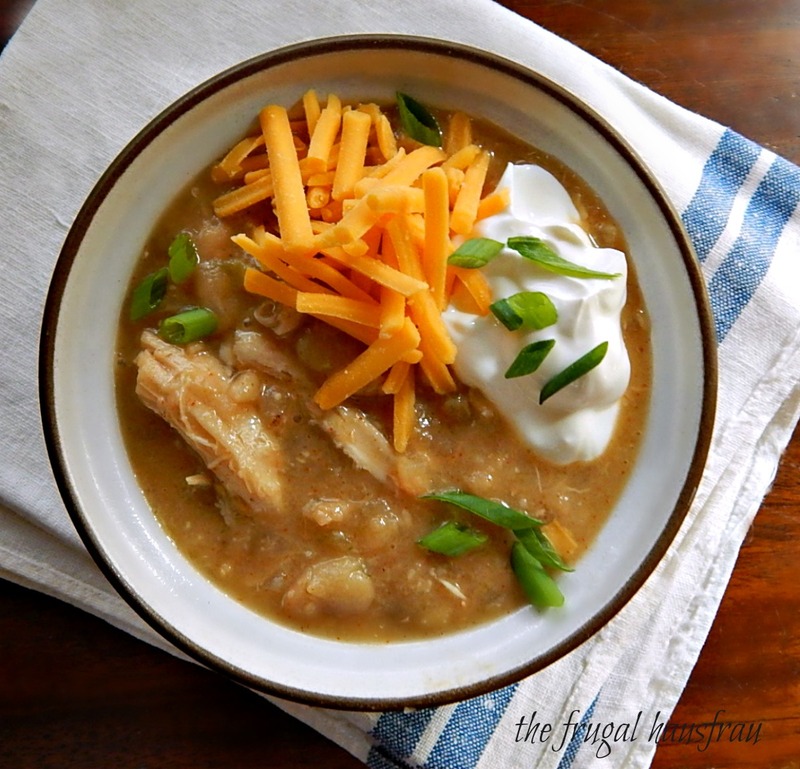 This Creamy White Chicken Chili is creamy & cheesy with a hint of heat and a touch of smokiness. I’m a bit at a loss as to how to describe Puerco Con Chile Verde; tender chunks of braised pork in a slightly spicy, slightly smoky green tomatillo sauce is descriptive but doesn’t quite give justice. 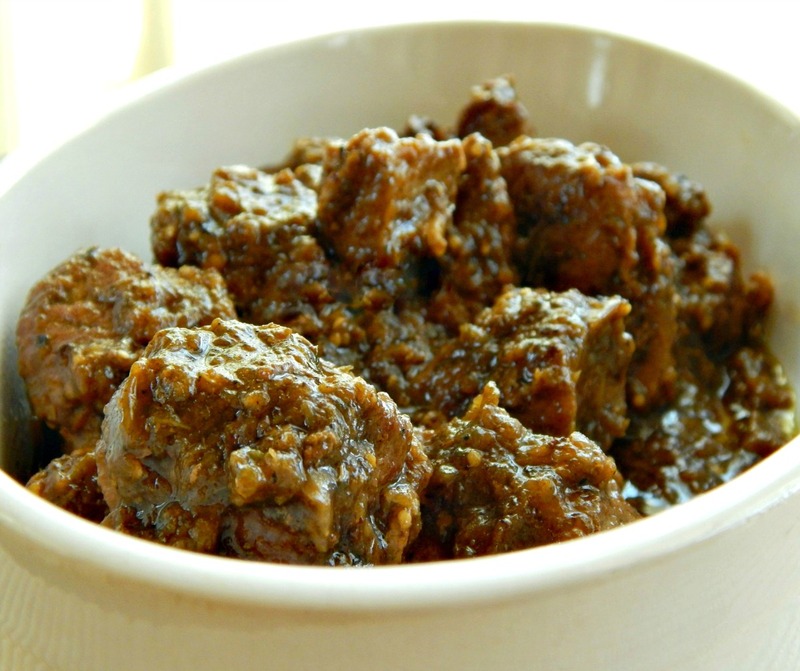 Guisado de Puerco con Tomatillos or Carne de Puerco en Salsa Verde rolls off the tongue with a bit more flair. 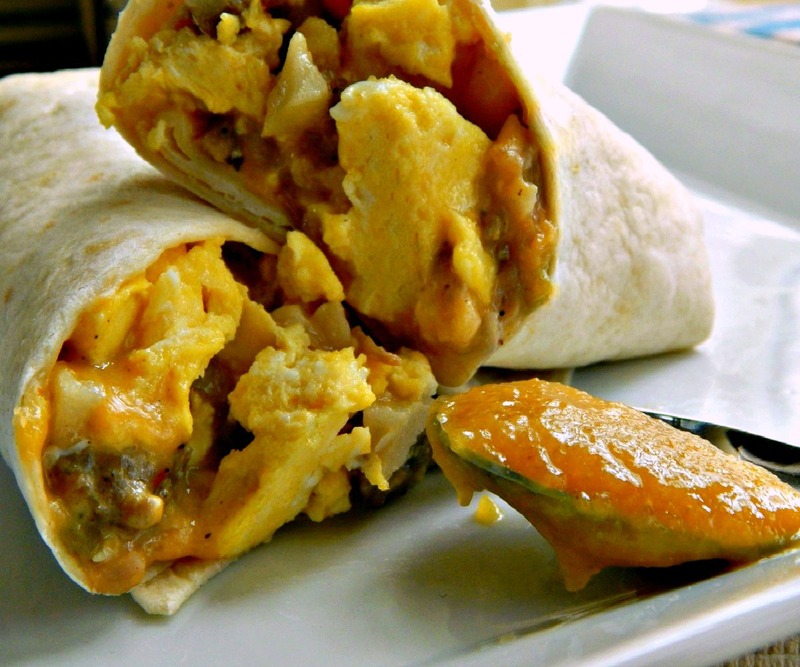 Green Chili Breakfast Burritos. I’m wild crazy about them and so is the whole family – so much so that I have to make extra to send home with guests when they stay over. I love sharing with them, so now I’ll share them with you! This is the first time I’ve entered an online contest (and probably the last) but after it got going, I decided I really did want to win…only I didn’t realize at first how much of the winning depended on the visits and votes. Denver Green Chili smothering a burrito. 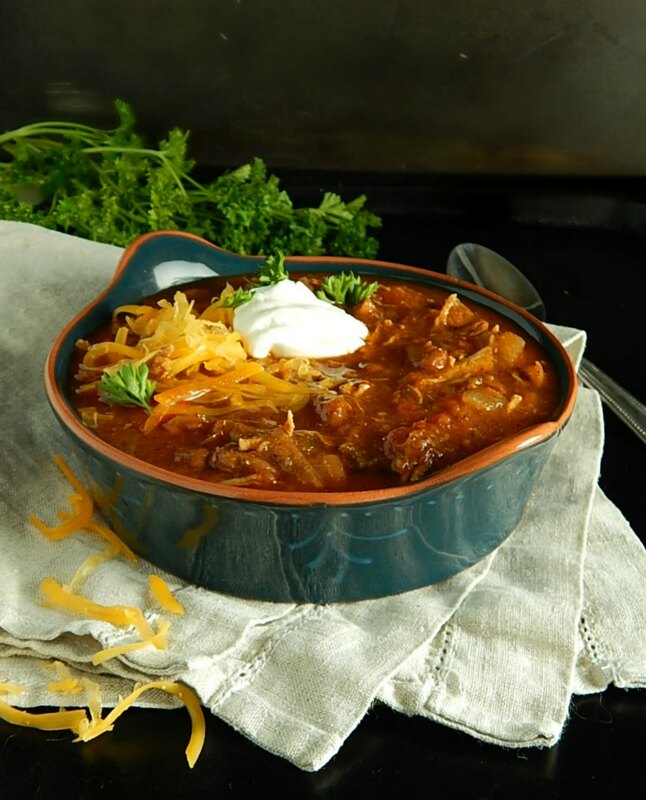 There was a time when the most popular Chili used to be quite a bit different than the trendy varieties of today. A time when it was made with simpler ingredients and was served as a family meal, not a culinary adventure. 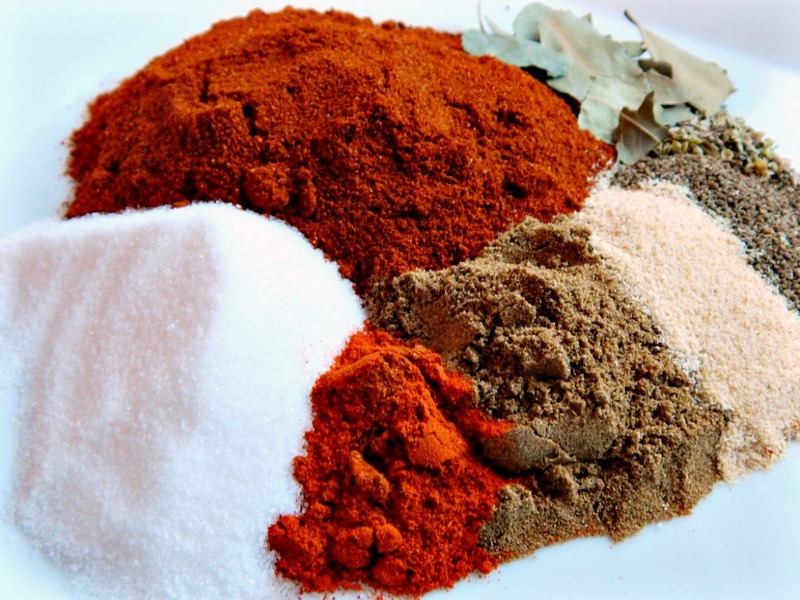 A time when it was saucy enough to add a few crackers – and saucy enough that one HAD to use a spoon. I miss that chili. Chile Rellenos have always topped my list of favorite Mexican and South Western type meals. A mild poblano, artfully stuffed with a mixture of cheeses, dipped in an egg white batter, fried and served over a bed of sweet/sour sauce is something I crave to this day. 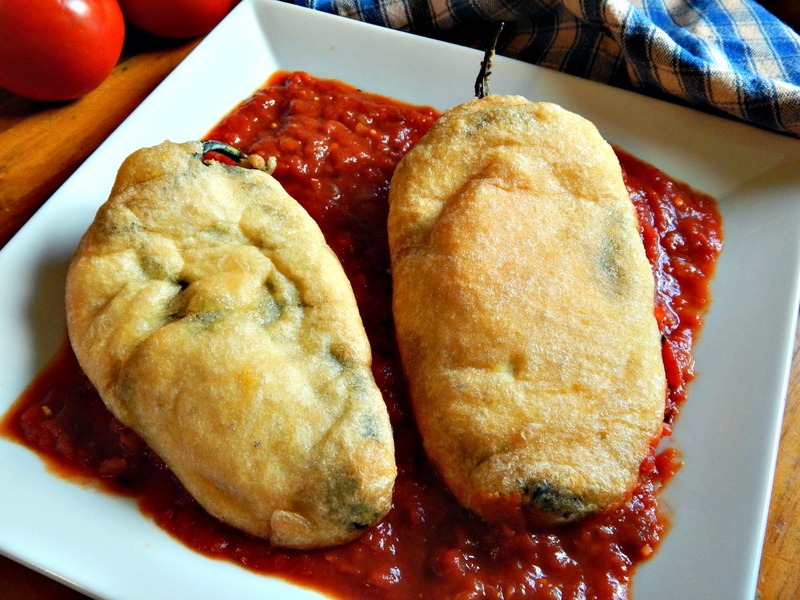 I absolutely adore this Old Fashioned Chile Rellenos Recipe and think you will, too! 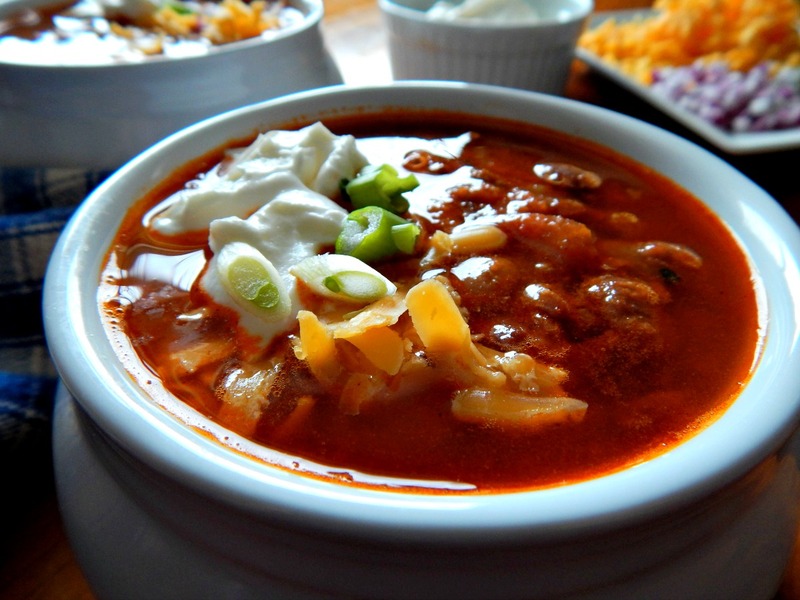 I have a few different Chicken Chili recipes here on my site and a couple of Beef Chilis, too. And they all have their place and all serve their purpose. 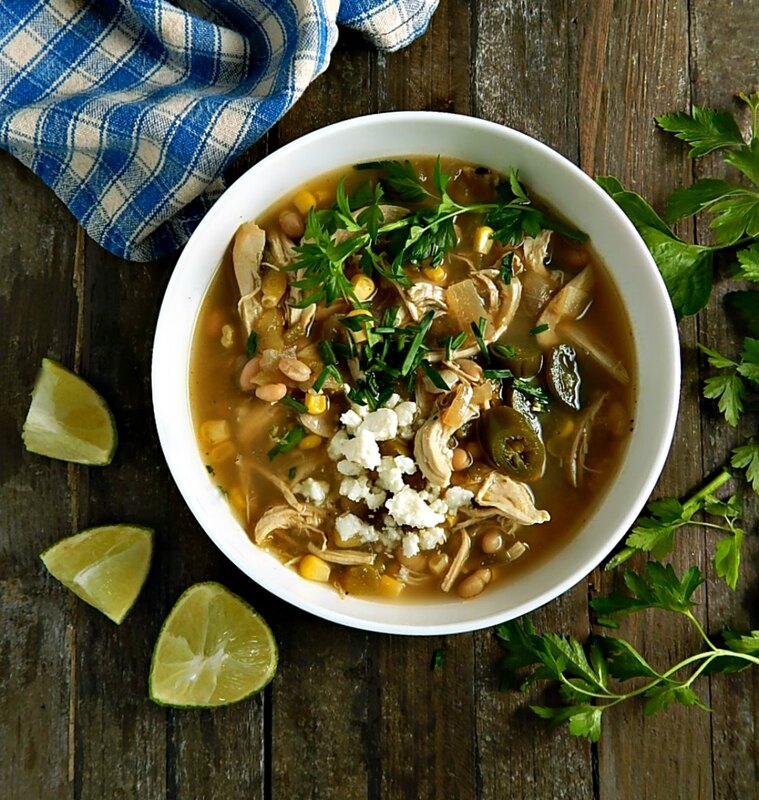 This one here, this Chipotle Chicken Chili is a serious chili. This is an adult Chili. This is the Chili you want to serve to score points on game day or at the ski condo when you’re serving to those you know can man up and take it, even if they’re maybe not men. Maybe even if they’re a Grandma five times over like me! A few of my other Chicken Chilis: Barbecue Chicken Chili, Easy White Chicken Chili, Creamy White Chicken Chili.